NOW GREATLY REDUCED IN PRICE!!! BARGAIN!! !This is the most stunning house in a charming village, which directly overlooks a gorgeous lake. There is a lovely swimming pool with BBQ area plus three terraces and a shower room. Inside it has been restored very sympathetically to reflect the spanish style and most of the furniture is included in the sale. 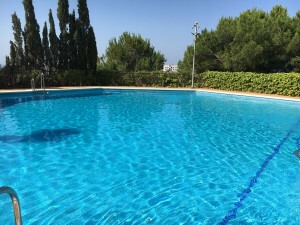 There are 2 entrances to the property ï¿½ one leads to the pool. The 1st floor has 3 bedrooms and two bathrooms. The ground floor has a large kitchen,living room,bedroom and bathroom with access to the 3 terraces and pool. The village has many amenities including the lake so a great place to live. This property would also rent very well.